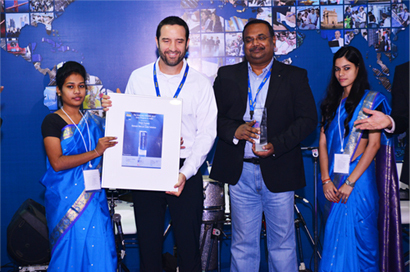 TeamSustain has grabbed Intersolar Award 2014 –one of the most prestigious and coverted awards in the Solar Domain in the World. The Award Category was– Solar Projects in India for TeamSustain’s application in "Remote Telecom Solar Solution using Trojan Smart Carbon™ Batteries“. TeamSustain had ealier in 2013, recognized for its Excellence in Performance in the Off-Grid PowerSector, through the Energize Award ( Supported by CNBC18 and E&Y ). TeamSustain’s projects were also earlier noiminated for the Intersolar Award –Solar Off-Grid System for Spice Village Thekkady in 2012, Net Zero Office Complex -Malankara Plantations Ltd. Kottayam and Net Zero Home Stay – Hibiscus Villa in 2013.